I started by adhering a panel of the Myths & Magic Specialty DSP to a panel of Bermuda Bay card stock with SNAIL. Then I trimmed another panel from that DSP pack at an angle and I adhered it with SNAIL over the larger panel. I adhered the panel to the front of a Bermuda Bay card base with Stampin’ Dimensionals. 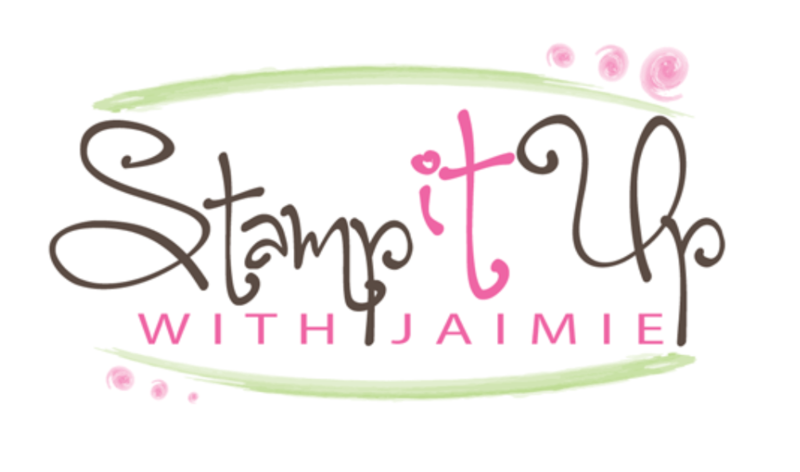 I stamped the mermaid image from the Magical Day stamp set in Basic Black ink three times on a panel of Basic Black card stock and then colored the images with Pool Party, Powder Pink, Crumb Cake, Melon Mambo, Daffodil Delight, Tranquil Tide and Sahara Sand Stampin’ Write Markers. I cut the images out with the coordinating Magical Mates Framelits die and then cut a panel of Old Olive card stock with the branch dies from the Magical Mates Framelits dies set. I adhered two branch die cuts to the back of each mermaid with Glue Dots and then adhered the mermaids die cuts to the card front with Stampin’ Dimensionals. 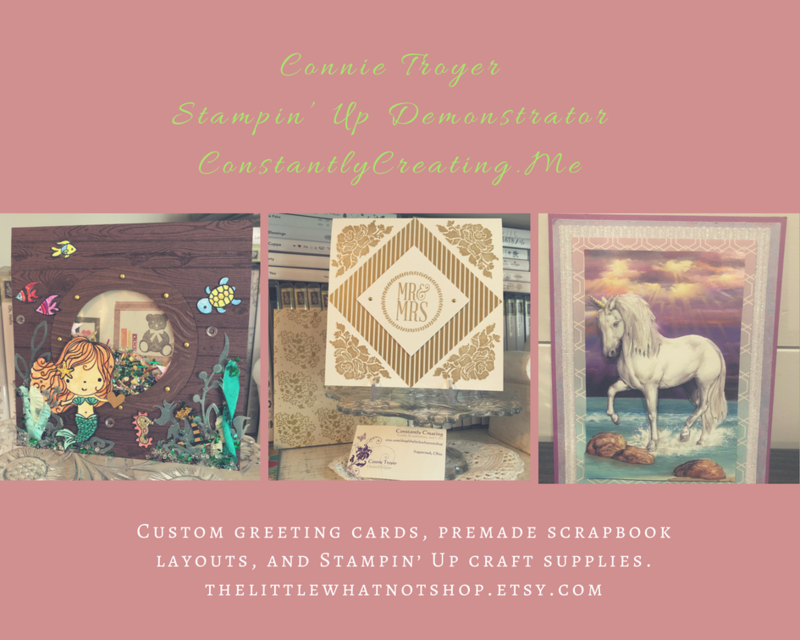 Then I stamped the sentiment from the Magical Day stamp set in VersaMark Ink on a panel of Bermuda Bay card stock and heat embossed it with Silver Stampin’ Emboss Powder. I stamped the bubble image from the Magical Day stamp set all over the sentiment in Bermuda Bay ink and then cut it out with a Stitched Shapes Framelits die. I adhered the sentiment oval to the card front with SNAIL to finish it. I stamped the mermaid, bubble and seahorse images from the Magical Day stamp set in Pool Party, Bermuda Bay and Old Olive inks on a Whisper White card stock panel inside the card. My card design was inspired by CAS(E) this Sketch #266. This entry was posted in Birthday, Child/Kid and tagged birthday card, CAS card, kid birthday card, Magical Day. Bookmark the permalink. So pretty Amy! I know so many little girls who would just love to get that card! This is so fun, Amy! Great take on the sketch! Love this lineup of cuties!